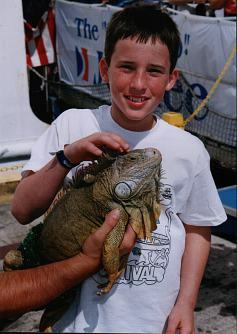 There are lots of iguanas in Cozumel! Here we are petting a rather large one. 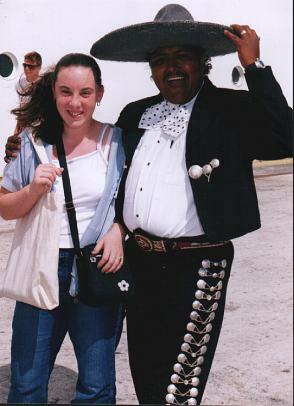 ....but Miranda got sidetracked by the mariachi guy. 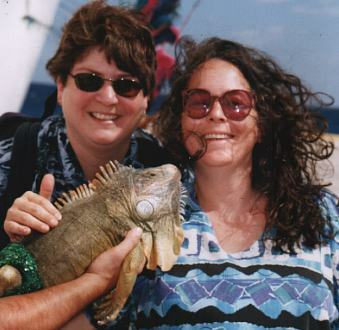 We loved Cozumel! The snorkeling there was awesome, and the people were wonderful. We want to go back and spend at least a week there. One day is just not enough!